Abstract: In this session, attendees will learn about operationalizing TensorFlow Object Detection API using cloud services and Kubernetes. First part will cover TensorFlow Object Detection API and how-to setup our training and evaluation workflow using Docker containers and virtual machines. After that, attendees will learn about how to train and scale using Kubernetes and distributed TensorFlow. Finally, session will cover how we can serve our trained model using TensorFlow Serving as a web service, and we will be deploying a simple client to get results from our service. Bio: Sertaç Özercan is a software engineer in Microsoft, based in San Francisco. 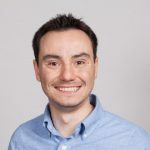 He works on open source projects with developer communities, and engineering teams, particularly around cloud infrastructure, containers and container orchestration. He is interested in running distributed machine learning workloads at scale using Kubernetes. He has MS degree of Computer Science from Ohio University.